Spot the Error for IBPS Clerk – 14| Must Solve it !! Spot the Error for IBPS Clerk – 13 | Must Solve it !! Spot the error Quiz for IBPS Clerk – 12 | Must Solve ! 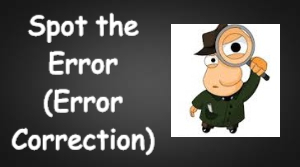 Spot the error Quiz for IBPS Clerk – 11 | Must Solve ! 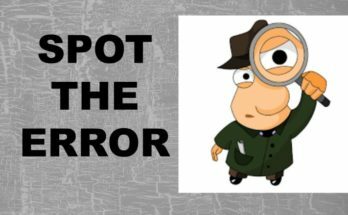 Spot the error Quiz for IBPS Clerk – 10 | Must Solve ! Spot the error Quiz for IBPS Clerk – 9 | Must Solve !